Unless you're a sneaker-head with a taste for rare releases, trainers are one thing that you don't need to spend a fortune on, as even our favourite A-listers lean on styles that are under £200. Victoria Beckham's favourite pumps are only £50, meanwhile, the Duchess of Cambridge's classic white trainers are also £50. Classic trainer styles like Converse and Adidas have long been popular with the likes of Alexa Chung and Kristen Stewart, but there are also some new models making an impact. For example, the Duchess of Sussex has been wearing sustainable trainer brand Veja. If you're looking for a new pair of trainers, you're in safe hands, as we've put together a guide to the A-list–approved pairs that are so affordable you might even be able to justify buying two pairs. Scroll below to shop the 9 super affordable sneakers with an A-list fan club. 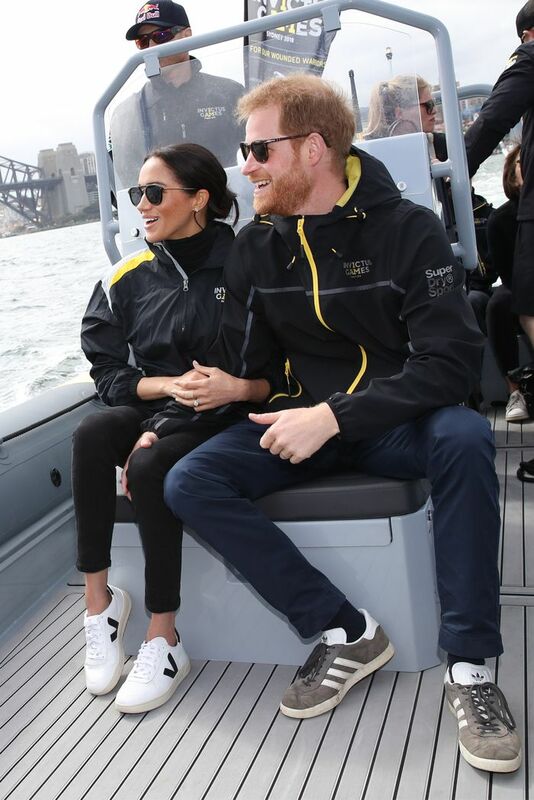 Style Notes: Just when we thought the French sustainable trainer brand Veja couldn't get any more popular, Meghan Markle wore a pair of v-10s on her royal tour of Australia. Style Notes: When the Duchess of Cambridge has to wear trainers, she often opts for classic white pumps by Superga, which are a purse-friendly £50. Style Notes: When it comes to trainers, Bella Hadid is a big fan of Nike's £65 Cortez sneakers and has them in a number of different colours. Style Notes: Emily Ratajkowski is a big trainers fan, and one of her favourite pairs are her Nike M2k Tekno trainers. Style Notes: These Britpop trainers used to be Kate Moss's go-to shoes in the '90s, and once again, the Gazelles have become the new cult Adidas sneaker worn by Brie Larson and Kristen Stewart. Style Notes: Converse's classic high-tops clearly need no introduction, and we reckon Alexa Chung is the biggest fan of these pumps, proving year after year that you can wear them with pretty much anything. Style Notes: Kristen Stewart is perhaps the most high-profile trainer fan in the world, as she has worn them to many of the most glamorous red carpets in the world. Although she has many different pairs, Vans Old Skool trainers are by far her favourites. Style Notes: During the lead up to her fashion week show, Victoria Beckham usually lives in Adidas Superstar trainers—as do so many other celebrities, including Kendall Jenner, Gigi Hadid and Emma Stone. Style Notes: Kate Middleton has worn Nike's Vapormax Flyknit trainers for a visit where she played tennis. They are practical, but also make a statement thanks to the soles.